Video interface for Audi models, equipped with MMI 3G multimedia system. Car video interface allows you to connect additional video devices, such as aftermarket navigation box, rear view camera, front view camera, HD player, smartphone mirroring adapter, TV receiver to your OEM car monitor. 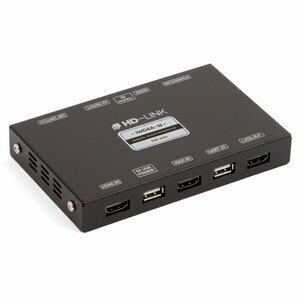 This video adapter has HDMI input which allows you to connect aftermarket navigation and video sources via HDMI, which in its turn offers image of higher quality.